Sydney Motor Glider Flights Group, Camden, NSW. 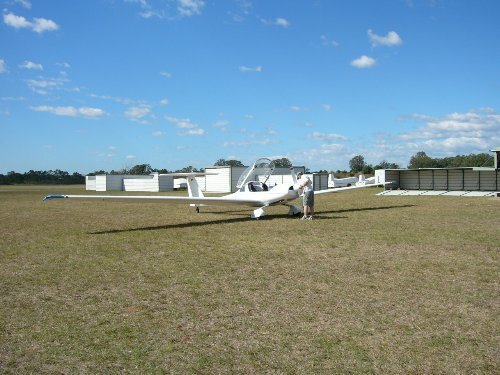 Sydney Motor Glider Flight Group is a small friendly non-profit club. We have a team of highly skilled gliding instructors with an average experience of 25 years each in gliders. We are based at Camden Airport, about an hour’s drive South West of Sydney. We invite you to come gliding at Camden with us where you will get to experience the joy of flight and to ride in our motor glider and soar like a bird. If you would like to know more general information about flights and learning to glide feel free to phone Laurie Hoffman on 0439 353 966 who will be happy to answer your questions. Motor gliders are just gliders which can take off by themselves. We can climb to whatever height we choose and go wherever we choose, then simply switch the motor off. We then glide and soar for the rest of the flight and complete the flight by landing like a conventional glider with the motor still turned off. Our club can introduce you to the pure joy and exhilaration of gliding. We do not offer joy flights where you just ride as a non participating passenger. We offer Air Experience Flights during which you will receive personalised introductory instruction about flying a glider and how everything works. This is a very relaxed experience where our aim is to show you what a great sport gliding is. If you decide it is the sport for you, the next step is getting you established into further flying lessons. If you decide it’s not for you, we are sure you will have still had a great experience with spectacular views of the Sydney Basin and Blue Mountains! We tailor your flight to suit your needs. As a guide however, a first flight costs $195 for a minimum 30 minutes and climbing to at least 3500 feet or $245 for 45 minutes where you will be able to take in the amazing view from around 5000′ and $285 for a one hour adventure up to 7000′. 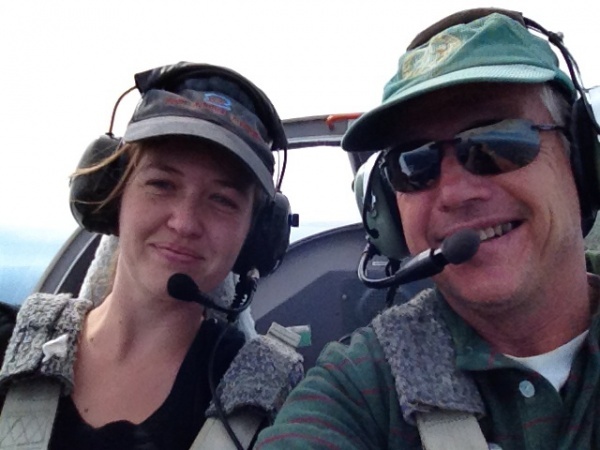 Introductory membership of the Gliding Federation of Australia is also included. We can provide personalised GIFT CERTIFICATES that we email direct to you for that special event. We also offer discounted rates for young people 16 years of age and under, follow up training flights, advanced training, bulk flying and group bookings. Please ask. You will receive a thorough briefing before and after your flight and be given clear explanations and demonstrations of how aircraft fly. 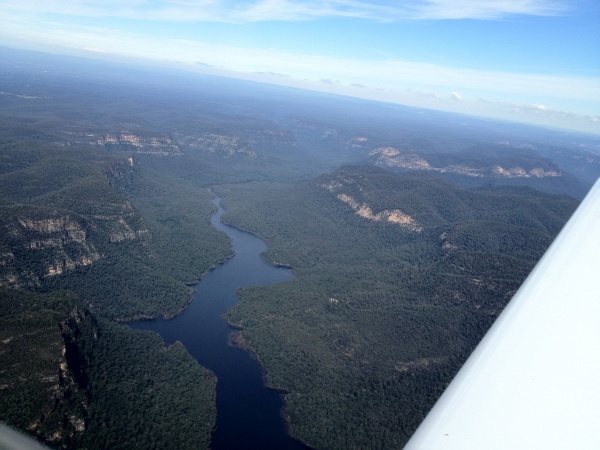 As well as taking in the scenic beauty of the Sydney Basin, when you are ready, you will have plenty of opportunities to take the controls under the supervision of your instructor. Whether you choose a more serene or a more adventurous flying experience, or even a little of both, these glider rides are memorable. We operate a hi tech fibreglass H36 Dimona Motor Glider. Traditionally, gliders are launched by either being towed aloft behind a light plane or winched up via a long cable which is rapidly wound in (yes…just like a kite!). These methods require assisting crew and specialised equipment. A motor glider offers the independence to take off and climb under its own power and then switch the engine off and glide and soar like a pure glider. With this versatility you will be able to experience spectacular views of Sydney and the Blue Mountains from the air and then serenely glide back to Camden Airport. The H36 Dimona motor glider has dual controls, comfortable side by side seating and is perfect for learning the basics of glider flying before moving to a conventional sailplane for further gliding lessons. CONTACT DETAILS: If you have all the information you need and you are ready to book a flight or gift certificate please email info@sydneygliderflights.com.au. For general enquiries and more information about flights and learning to glide feel free to ring Laurie Hoffman on 0439 353 966. You are very welcome to ring Laurie with any questions you may have regarding gliding in the Sydney area or elsewhere. We welcome the opportunity to provide assistance and expert advice. If you are not from Sydney, we will put you in touch with a soaring club in your area who can take you for a sailplane joy flight, glider rides and lessons. Gliding is an exhilarating sport. Modern gliders and motor-gliders are of high tech design and extremely robust construction. Gliding is overseen by the Gliding Federation of Australia who have exceptionally high standards of pilot training, instructor qualifications and aircraft engineering safety. I would love to take my tein girls gliding as they love to be in the air. They are 4 years of age any possibility,we can do this . Thank you for your inquiry and yes, once a child has tasted flight its something they will always remember. Unfortunately your girls are a little young yet. We recommend 8-10 years of age as the youngest for a child to feel comfortable in a glider and to be given a chance to control the glider. Not sure if you remember me but I have had 2 magnificent flights with you. I am the ex Westpac Rescue Helicopter Crewman. Would like to book another flight and as I am not working at the moment have more flexibility re date of flight subject to dropping off the grand kids to school etc so mid to late morning would suit. Do you want me to buy a voucher or can I give you cash on the day. Just drop us an email info@sydneygliderflights.com.au with your preferred dates for a mid to late morning flight..
We have been having some very pleasant Autumn flying conditions lately.